A brand new section of road in Horsham – widened and rebuilt at the location of a new development – tells you everything you need to know about how ‘the highway design machine’ across the vast majority of this country still trundles along in its complacent way, taking no account of the needs of people who might want to cycle, or even those who are currently cycling. The site of this development – Parsonage Road – has dreadful cycle lanes along it, barely 70cm wide. Industrial units along this road mean that there is plenty of HGV traffic on it. The photograph above is a typical reflection of traffic levels at busier periods of the day. The new development – which has seen the road being widened, at the expense of the greenery seen on the left in the photograph – should have been a perfect opportunity to build-in high quality cycling infrastructure for at least the short stretch of road being improved. But evidently that was too difficult. The new road has cycle lanes that are exactly the same width as the dreadful pre-existing ones. 70cm wide. The zig-zags are more generous. A new verge has been created; the implication here is that grass is more important than the safety or comfort of anyone attempting to ride a bicycle down this road. The road has been widened by around 50% – but only to make space for a turning lane for motor traffic, so that nobody is held up while driving. The cycle lanes are exactly the same width as they were before. How this location looked back in 2012, courtesy of Google Streetview. All the trees on the right have gone. The 2015 equivalent of those kids cycling on the footway will still be cycling on the footway today, rather than attempting to use a paltry 70cm strip right at the edge of a thunderous road. Prior to this development going in, the local cycle forum had asked for protected cycleways as part of the highway changes, and subsequent to that had been promised 1.5m lanes. Plainly, cycle campaigns and cycle forums shouldn’t even have to be doing this job. They shouldn’t have to chase up highway engineers and developers in their spare time in an attempt to persuade them not to build total crap. It just shouldn’t happen. Doing a proper job, in this instance, would have cost nothing extra, but institutional inertia within West Sussex County Council – that essentially amounts to not giving a toss about cycling as a mode of transport – means that the pre-existing crap is simply reinstated. I’m not even jumping to conclusions here. Here is the actual defence that West Sussex County Council have produced in response to complaints about these cycle lanes. A West Sussex County Council spokesman said: “These highway works are associated with a new residential development of 160 dwellings on the former Novartis Pharmaceuticals UK Limited site. “The works are not yet fully complete. They involve adjusting the existing kerb lines to improve pedestrian facilities and refuge islands, and a new right turn lane access into the site. “The designer has had to manage competing demands for road space. The advisory lanes are below the desirable 1.5m – however they were like that before the scheme was implemented and this is not out keeping with the advisory lines on the remainder of the marked advisory route (beyond the scope of these works). The ‘competing demands for roadspace’ explanation is both glib and bogus. Glib because the finished product tells us plainly that the designer weighed up the ‘competing demand’ of removing potential minor inconvenience to motorists against the ‘competing demand’ of the safety and comfort of anyone cycling, and plumped for the former. And it’s bogus because high-standard cycle provision could have been included in this design anyway; it’s just that nobody bothered to do so. More telling, however, is the spokesman’s comforting explanation that the cycle lanes ‘were like that before’. Well, yes. They were. They were crap before, and they’re crap afterwards. (In fact, in context, they are slightly worse, given that pinch points in the form of crossing refuges have now been added to the road). Quite plainly, West Sussex do not even think that this is a problem. They think that pre-existing crap cycle lanes, or crap cycle lanes elsewhere, mean it is perfectly acceptable to keep on doing the same terrible job. So here’s what I’m proposing. I’m going to call it The Gummer Test, named in honour of the Minister of Agriculture who, at the height of the BSE crisis, attempted to feed a beef burger to his daughter. The Gummer Test would involve highway engineers, council officers or developers involved in these kinds of decisions to put their young child on a bike, and letting them cycle independently on the ‘infrastructure’ they think it’s acceptable for ‘cyclists’ to use. Not only would this quickly bring into sharp focus the shortcomings of a bit of paint 70cm from the kerb line on a main road, it would also change the mindset of these people before any design decisions are made. Complacent shrugs about something tokenistic for ‘cyclists’ would necessarily have to be replaced by hard thinking about genuine, safe, comfortable and inclusive design for all potential users. Highway engineers, councillors and planners in the Netherlands would, I suspect, happily sit this kind of test – because they build cycling infrastructure that is suitable for all ages and abilities. The failings of dreadful infrastructure like 70cm cycle lanes, bus lanes ‘for cyclists’, narrowed carriageways on busy roads, Advanced Stop Lines, ‘Quietways’ that really aren’t anything more than a bicycle symbol painted on the road, and so on, would quickly be exposed by The Gummer Test. Is what you’ve designed ‘for cyclists’ also suitable for your daughter? Take The Gummer Test. These various forms of rubbish are only tolerated because those responsible are not exposed to the consequences of their designs. They can put a bit of paint at the side of the road, safe in the knowledge that it’s exactly the same as it was before, and besides, isn’t this kind of thing that gets splashed down everywhere else? A Gummer Test – or something like it – would rapidly change that attitude. I’m surprised that there seems to be no application of design guidance for cycling schemes, for example the width of on-road cycle tracks. Has there really been no progress at all in getting your transport authority to adopt recognised design criteria and to use it in all cases? Excellent article. I’d like to see the Gummer test applied to Hackney’s main roads, some of which have been described as ‘perfect for cycling’. I’d also like it applied to the new Aldgate scheme, which is slowly being revealed as the Corporation of London’s dismal terminus for the delightful Cyclesuper Highway 2. I strongly suspect that most of those designers either do not have children or actively dislike them. It is certainly true of the vast majority of local [cycle?] campaigners. If Hackney POB had wanted anyone to actually cycle near the A10, then they wouldn’t have put (or continue to put) so much effort into collaborating with TFL/ the council on keeping the LCN10 `superhighway’ as far away from it as inhumanly possible. Less than two years ago, I had one of the bigwigs in Hackney branch of LCC (in their role as useful idiots for the council highway department) telling me how great cycling conditions already were across the whole district and how, therefore, they were against any of this `going Dutch’ nonsense. 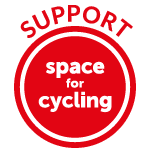 When I pointed out that the number of children cycling on their own to school there was approximately 0%, the reply was `oh, we don’t want children cycling here’. Followed by a display of blissful ignorance on how this differs from the actual Netherlands. More generally, something even less ambitious than the Gummer test has already been proposed in one of the old parliament petitions. The national government’s response was basically the same as West Sussex council in this case: we know best and we couldn’t care less about cycling. What the fietsberaad report suggests (to me) is that there is a cut off for bike lane width below which it becomes more dangerous than not having any at all, which other commenters have alluded to, but this gives some basis for quantification. As follows. Taking some results from the report and my own observations. Without lanes I usually get passed at an average distance of about 150 cm. About 10 % of motorists come closer than 100 cm. This is just about acceptable (or am I inured? ), but should be better – I’d like more of the 10% to give me more room. Would lanes help? Implicit in this is that motorists are taking their safety cue from the lane marking rather than its occupant. Now, according to this, to make the average passing distance more than 150 cm – the common value used where it is law, and my barely acceptable – you have to have lanes of at least 143 cm width. Any less and you are in a situation which is more dangerous than no lanes – in fact the the report recommends 170 cm as an absolute minimum lane width, which gives an average passing distance of 162 cm. Which I think accommodates my desire for better passing than the no lane case. Since anything less than 143 cm is more dangerous than no lanes (and a waste of money), there should be a law against it. Other lane features might be left in the realms of guidance, but not this. I don’t agree that sometimes it is better not to have a special lane for cyclists. The survey shows that in any case it’s better to have a specific lane of at least 170cm. The survey describes all kind of situations inside and outside towns. In fact it is full of specific conclusions for different situations. It depends on the number of cars, the width of the road etc. I asked CROW if they plan to translate it as they did in other cases. Maybe it’s to early for that because they also use this report to ask for creative solutions in difficult cases. You are correct that there really has been no progress at all. It is worse than that: we are going backwards. There is now no cycling officer (or anyone else) to take responsibility for cycle provision. There is no in-house expertise. The road maintenance programme has selectively resurfaced and repainted just the main running lanes of roads, leaving the cycle lanes to crumble and fade. New wider, faster roads are being built to maximise motor vehicle capacity, but they have no cycle provision at all despite being far more hostile for cycling than they were before. We looked forward to these new 1.5m cycle lanes which seem to have been freely offered by the developer: they would have been the very first in the town to meet the minimum width guidance. If we can’t even get the bare minimum out of a large development on a site with no physical constraints, what hope is there? What hope is there? Very little. If a child were to cycle on that road and get run down, the parents would get the blame. Not the authority, and perhaps not the careless driver either. Do the designers not think to carry out some sort of safety risk assessment? That really ought to be a basic requirement. A fair assessment could hardly conclude that this road is safe for adults to cycle on, let alone children. One might think this requires the relevant authority to design and build a road that is as safe as is reasonably practicable. But there is no prospect at all of the the law being enforced. So even where the government department is acting unlawfully, they just cover it up and continue on regardless. I really wish we could persuade some people from WSCC to come and ride in these lanes with us to see what they are actually like and whether they think that they are safe/acceptable. I live in (little) hope…. I sort of like this idea. Very narrow lanes like that are worse than nothing at all IMO, for several reasons: drivers expect you to use them (perhaps not unreasonably on their part); you are therefore exposed to shouts and ‘punishment passes’ (something far more talked about than done IME, but I suspect it might also be more common in the South-East) as well as usual lack of consideration if you do not use the lanes; if you do use the lanes, you are supposed by drivers to be safe to pass without moving out (again, perhaps not unreasonably on their part, after all it’s usual not to move out of your lane when overtaking a vehicle in another lane). So that leaves the pavement, which is illegal, slow, bumpy, subject to the danger of left hooks and side roads, etc. Drivers expect you to use whatever infrastructure is there and get angry if you don’t. It doesn’t matter whether its a painted lane that isn’t wide enough for a bicycle to fit in (as per the photos above) or a properly separated path which just isn’t convenient for you at this time, or *anything* really. The powers that be built it, so you are expected to use it. A new off-road cycle path has been built by me that I use going to work (it’s all uphill on a main road which varies between 40-50 mph speed limits on the open stretches, dropping to 30 as it passes through a village). I use the new path to go *up* the hills – toward work – as it is more convenient and safer than using the main road. But I’ve tried using it to come home again and its frankly terrifying unless I slow right down to walking pace. It crosses several side roads with give way markings painted on every one (one of which is a completely blind exit, and where I have encountered cars coming out who were really not looking for cyclists on the new cycle path)) so I don’t have priority, and it passes across several driveways, all while going down a pretty steep hill. So I tried it, and decided not to bother in future. And the amount of hassle I get for choosing to travel on the road downhill where I can travel faster and don’t need to worry about stopping at every side road – even though I’m well over 20 mph (I’d like to think up to 30, but I think that’s just wishful thinking…), the fact that I am on the road *at all* makes a lot of motorists see red. Punishment passes are quite common in London, unfortunately. Stephen, punishment passes are quite common *everywhere*. My point was really that “It doesn’t matter whether its a painted lane that isn’t wide enough for a bicycle to fit in (as per the photos above) or a properly separated path which just isn’t convenient for you at this time, or *anything* really. The powers that be built it, so you are expected to use it.” and that motorists get angry if you don’t use it, so punishment passes become *more* common where there is infrastructure. So, that infrastructure had better be worth using! I totally agree. I was commenting on the original comment from Notak which said that punishment passes were more talked about than experienced. I cycle along a stretch of a road where there is a separated cycle path on one side of the road, but no provision to get to it easily when you are on the “wrong side”. So guess what, I use it one way but not the other. It is quite disgusting to impose any change to carriageway without considering cycling – that they’ve here even taken out rows of trees and greenery and still managed to fail abominably is offensive. The Gummer test is a great idea – these people that are so truly incompetent need someway to have ‘their noses rubbed in it’. Even in London we’re fighting battles that should have been easy victories, with many of us keen to move on and join up the various bits. I’ve been leafletting at Tavistock Place this morning, where the taxi drivers are at it again.A llot of people are dumbfounded that these new wide lanes for bikes are under threat already. But, at least at TfL there are the signs of movement, with recognition of how idiotic it is allow single occupancy vehicles to foul up people’s lving spaces. Wherreas outside of London there needs to be a push to get the eqivalent of the New London Cyclng Design Standards acknowledged, assimilated and used to inform any road scheme of any kind. The Mini-Hollands schemss should be promoted nationwide now as the battle continues to install those three in outer London boroughs. Mini-Holland schemes sound like the lipstick on a pig approach. Compared with the Dutch infrastructure, micro-Holland seems more corrrect. All these initiatives are white-wash for hiding the reluctance to really change things, but they can’t take money and room away from the motorists, I guess. There are plenty of examples on the internet, so it’s obvious the British cyclist is screwed again, and again. There’s another aspect to the Gummer test (which name and idea I intend to popularise, it deserves wider audience): it’s ok to feed your child a burger as a demonstration of confidence because, well, it’s normal for people to eat burgers. But sending your kids to ride down that cycle lane is a non-starter because it’s not a normal thing for people to do. It’s for a pre-selected group. A civil engineer who refused to send their child across a footbridge would be deemed to have failed the Gummer test, while the public and media would more likely consider it unreasonable for a highways engineer to be asked to send their child out on a bike on a road. How do we change that attitude right at the beginning? It must be a good sign that your new cycle lane isn’t wide enough when the cycle lane logo won’t even fit inside it. There are some cycle lanes near me that aren’t wide enough for a bike’s handlebars (and, therefore, me) to fit inside them. I can only presume that they were marked out and painted based on the footprint of the vehicle anticipated to use them (and someone said to themselves, “Well, a bike tyre is only so wide…”). I like the Gummer test. Mine is ‘is it one that an 8 or 80 year old would use? if not it is not good enough’. No right mined parent would let an 8 year old cycle there, and quite sensibly the kids are on the pavement. So where to start? I suggest at the top, the DfT Board. Where is cycling represented? Who is responsible and pushing for it? And what are the aims of the DfT? Cycling seems to be something to ‘promote’ not provide for. Actually the dft has some reasonably good guidance for cycle infrastructure. The major hurdle as the article states is getting local govt and highways agency to actually implement it. It should not be up to volunteers to do local govts job for it. Central govt under the banner of localism has abdictaed itself from giving a lead on anything except for destroying the environment. Is it perhaps time to hit the streets? In Ireland, when the taxi men get shirty (and they do, regularly enough), they all take their taxis onto the streets and have a slow protest. Farmers and truckers do it too. Perhaps the cycling community could do the same? If the road engineers aren’t going to give us enough, or any, room, then we’ll just have to take some of the car space. A mass slow protest might create some friction and traction for the debate. I understand some would be reluctant to antagonise an already fractious motoring community, but let’s face it, protest is often the only thing that gets results. The only problem with the Gummer test is that it could push highways engineers back towards putting cyclists on the pavements, as “that’s where children should be”. That seems to be the default solution for cycle infrastructure at our council. In my town we have a total of about 400m on-road advisory cycle lanes, two advanced stop lines, a mere 90m of cycle path between the road and the footway (i.e. fully segregated) and all the rest is shared use with pedestrians. Don’t get me wrong: shared-use on lightly used paths that are not alongside roads is great, but shared-use narrow pavements by roads are far from ideal, especially as there are no examples with decent design at side roads. I’ve remembered another 33m of on-road advisory lane. So that’s 3 sections totalling 433m in the whole of Durham. And how could I have forgotten the excellent wide, fully segregated cycle track along the A167 on the edge of town: about 800m on both sides of the dual carriageway. It was put in several decades ago. What a shame they did not continue at that standard. Good article. Having spent a couple of weeks cycling in Holland with my family this summer made me realise how bad things are in London. I’m getting increasingly frustrated with the lack of enforcement against motorists parking in cycle lanes in London – yellow paint means more than white paint! Maybe it’s time to take to our cars and drive at 10mph in the cycle lane? Note to council – I would have used my bike but it isn’t safe. I’m not sure that John Gummer’s daughter would share your enthusiasm for the Gummer test, and I not convinced that there’s a need for a new test. Consulting cyclists and comparing infrastructure to that recommended in things like the CROW manual seems like an adequate test. Not on that road. That’s the point. If she and her parents are unwilling, that should be recognised and recorded. It would be an admission. The design would have failed the test and been proved unsafe. The Gummer test is a notional one, but vital if we are ever to get proper provision for cycling. No child would be harmed in practice. The question could be asked now of anyone responsible for an existing or proposed road. Will you let your child cycle on it? Though of course it would not be answered. And remember that British beef passed the test. That doesn’t mean it was particularly safe. I almost want to have the gummer test but no child should be punished for the foolishness of their parents. Ask whether they would be willing to let their kid cycle there, then import a group of 20 Dutch nationals, picked at random from a street in the Netherlands, the first 20 people you see riding omafietsen, and invite them to a trip to Britain to see whether they would cycle there and give a rating on a scale of 0-50. Show them a picture of it first, and if they rate it at least 20, then they actually get the trip.